The 1957 Meteor Ranchero was built for Canadians only. The Ford Motor Company of Canada Limited had a long-standing policy of making Mercury trucks and Meteor Sedan Deliveries available to consumers through its Lincoln-Mercury-Meteor dealer network. Badge engineering was a balancing act that kept both dealer bodies happy. 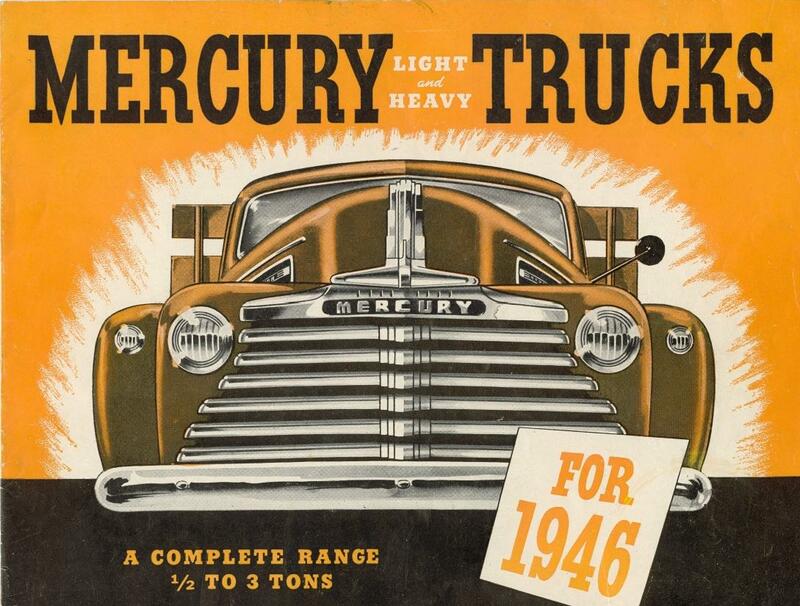 Since 1946 Mercury trucks had faithfully matched Ford truck offerings model for model. But the new Ranchero wasn’t a Mercury; it was a Meteor. Lincoln-Mercury-Monarch dealers got Mercury trucks in 1946. Some were assembled in Vancouver. The Meteor debuted in April of 1948. It stole a whopping 10% of all new car sales in the domestic market that model year. 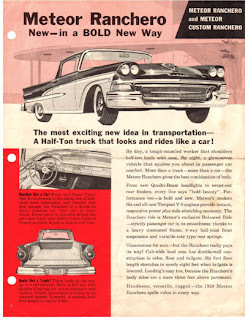 It was announced that the Meteor version of Ford's Ranchero would go on display Mercury-Lincoln-Meteor dealerships beginning on February 12, 1957. Folks would actually wait a bit longer than that; the launch was delayed until March. 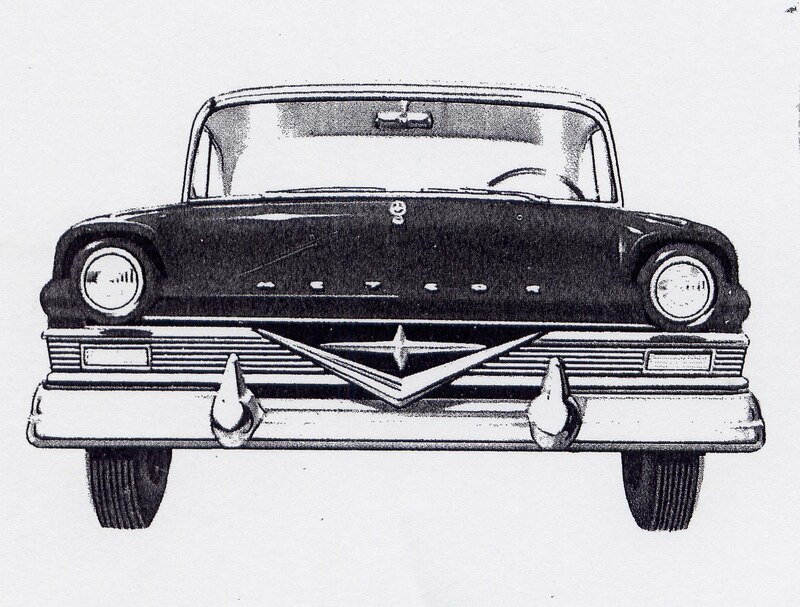 From St. John’s to Victoria, consumers were keen to be introduced the sleek home-grown Ranchero. The standard engine for Canadian Rancheros, Ford or Meteor, was the Blue Oval’s 3.6-litre (223-cubic inch) six-cylinder mill with the 4.6-litre (272-cubic inch), two-barrel V-8 as the only optional engine. Meteor’s self-shifter carried the Merc-O-Matic label. Meteor Ranchero interiors were limited to tan and brown woven plastic with a tan vinyl bolster or a blue vinyl interior with a blue and white vinyl bolster. The Meteor Ranchero shared many parts with the Meteor Country Sedan. The Rancheros were quite the draw as mid-year model introductions go. All across Canada folks slogged through spring slush to see them. Single colour choices varied somewhat from American Rancheros: Raven Black, Dresden Blue, Starmist Blue, Colonial White, Cumberland Green, Willow Green, Nocturne Blue, Brazilian Bronze, Moonmist Yellow, Woodsmoke Gray, Regency Gray and Fiesta Red. The Meteor Custom offered two-tone Style Tone paint treatments with Colonial White above the side mouldings in combination with the solid colours. Not available in the United States, Canadian Ranchero Style Tone colour combos could be had in Cumberland Green and Willow Green, as well as Dresden Blue overlaid with Starmist Blue. Though we boasted the second highest standard of living in the world, Canadians still earned a good 20 percent less than our American cousins and paid considerably higher taxes. Canada's flag from 1924 to 1965 was the Red Ensign. 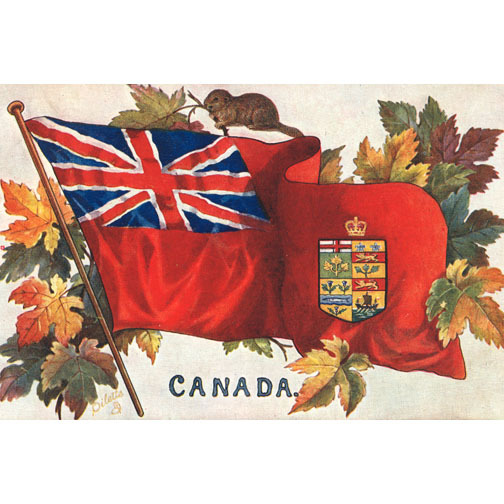 A self-governing Dominion within the British Empire, its colours showed our strong ties to the United Kingdom. Durable goods cost more in Canada than in the US because the Canadian economy had a much smaller base. Higher prices made us naturally frugal as consumers. Reflected in buying preferences, the auto industry had adroitly learned to adapt to Canadians’ needs. As a result, there were far fewer options on the Canadian-built Ford and Meteor Rancheros; no Signal-seeking radio, no air conditioning of any kind and no power windows. The Ranchero was not nearly as well accepted by Canadian consumers as it was by our American neighbours. Workers in Oakville, Ontario built only 558 Ford Ranchero Customs and 300 Meteor Ranchero Niagara models in the remaining months of the 1957 model year. The entire North American economy was devastated by a business recession that wreaked havoc in 1958. Sales of consumer goods tumbled sharply. The Canadian truck industry was no exception. Domestic production of all trucks slid to 58,693 trucks, the industry’s worst showing in twenty years. Volkswagen's Transporter became more popular than ever with Canadians in 1957. Consumers were still buying big-ticket items, but ever so cautiously/ Sales of small, imported trucks jumped to 8,212 units despite the downturn, sufficient number toshatter all previous sales records. The 1957 imported truck tally had been 4,367 units; mostly Bedfords from GM in the UK, Thames from Ford of Britain and West Germany’s Volkswagen Transporters. Despite the off market and the poor economy, Ford and Meteor Rancheros returned for a second season. The Meteor version bowed to the public on October 22. Because Fairlane was restyled from stem to stern, so was Ranchero. Well, almost. The new design of the passenger car’s taillights did not lend itself to the pickup truck so the 1957 taillights were grafted on. The handsome cab was carried over into the 1958 season as well. 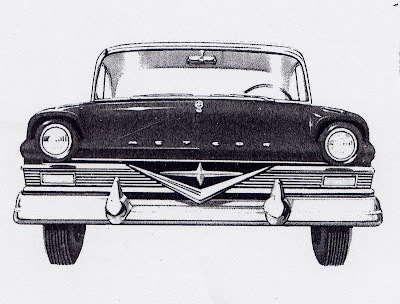 The 1958 Meteor Ranchero simply borrowed the finely ribbed, concave Meteor passenger car grille. At the Oakville, Ontario plant, Ranchero production slowed to a trickle. 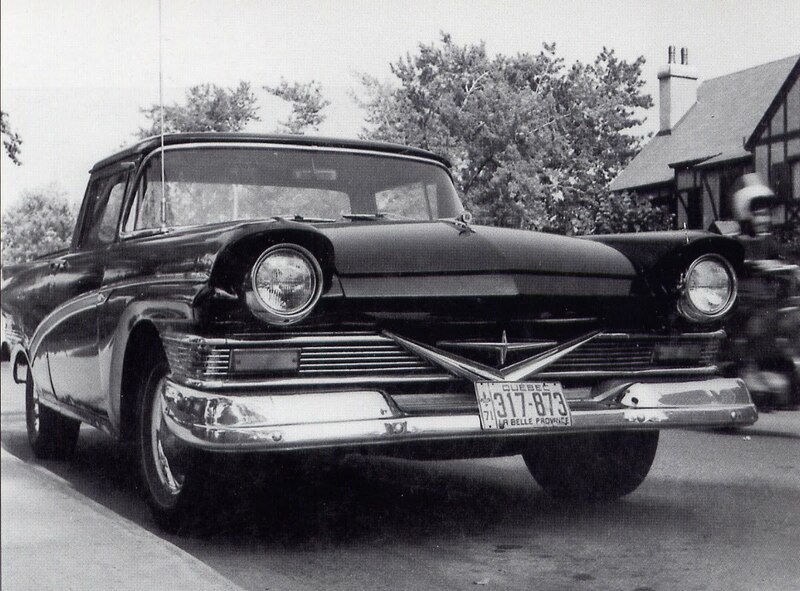 Factory records show that only 86 of the Ford Custom Model 66A were built and only 52 of the 1958 Meteor Niagara were produced; the entire year’s output of Meteors being assembled in September and October of 1957. Sandy Notarianni, Ford of Canada’s archivist, noted that 38 of the Meteors left the Oakville plant fitted with the six-cylinder mill. It was game over. Pretty she might be, the Ranchero was simply not perceived as being an honest workhorse by Canadians. Looking at the big picture, Chevrolet built 15,997 trucks in 1958. Ford took the Number Two spot with 12,083 units produced. GMC was third with 10,573 trucks built. International Harvester built and sold 9,162 trucks that year, making it fourth. 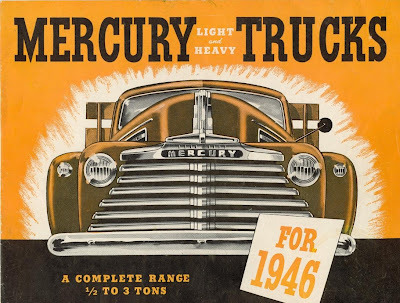 Mercury trucks claimed the fifth spot with 3,814 units built. Sixth place belonged to Dodge, with 3,262 units produced and seventh place to its badge-engineered cousin Fargo, with 3,018 units built. 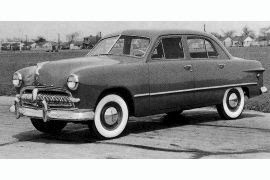 A handful of Pontiac and Meteor sedan deliveries were built. Studebaker and Jeep trucks were imported from the United States. When Ford of Canada said “adios” to the Rancheros and pulled the plug on them, the space on the assembly line promptly was taken up by medium and heavy-duty trucks. New federal government funds had been earmarked for ambitious, nationwide road building projects. The Trans-Canada Highway was nearing completion and new routes were under construction to open up the western Arctic. All of Canada's truck manufacturers responded to the massive highway construction projects by stepping up to the plate with production of larger and heavier-duty trucks. Ford of Canada offered more than 300 truck models in 1958, many of them in the medium and heavy-duty ranges. Management did not miss the slow selling Rancheros. 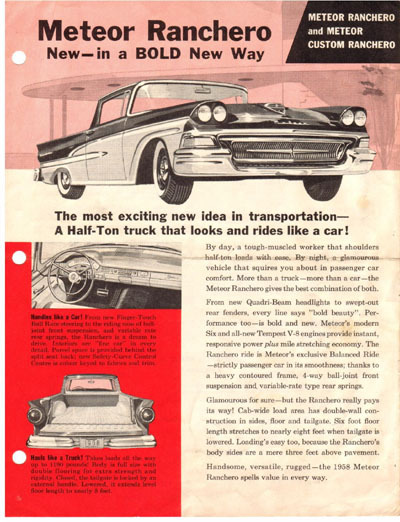 Today the Meteor Rancheros are a footnote in automotive history, one of the more exciting, unique and rare offerings to have come from our domestic automotive industry.